Maui is a truly magical place and Hawaii's most popular island. Once a thriving whaling center, today it offers extraordinary vacation activities, like sunrise from atop Haleakala Crater, the magnificent white-sand Kaanapali Beach resort area, historic Lahaina town, great snorkeling, and championship golf courses from one end of the island to the other. There are also the world-class resorts of Wailea, Makena and Kapalua. 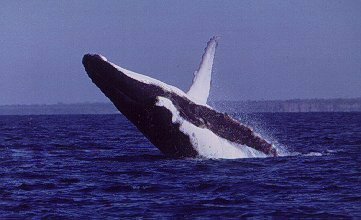 Take a boat trip to see the humpback whales and their calves between December and March. Watch the sunrise over Haleakala Crater. Visit the remarkable town of Hana, tucked away at the end of the road. See a rodeo in upcountry Maui or go there to shop. Have a drink at the Pioneer Inn, a historic inn from Maui's whaling days. See the Banyan tree in downtown Lahaina, where you can also buy souvenirs. In July, check out the Maui Fin Company Open, an amateur and pro windsurfing competition. If you're a film buff, consider the Maui Film Festival every June in Wailea. Go fish! Take a fishing boat out of Lahaina of Maalaea Harbors. Take the ferry to Lanai and have lunch by the pool at the Manele Bay Hotel. Visit the Maui Ocean Center where you can walk through an acrylic tube with sharks circling above. Visit Whalers Village for terrific shopping and the whale museum.